It brings a merit or value stating your own views of economy, capital market & social life in Sri Lanka in 2007. It is appreciable the comments are full free of party colors. Happy New year for everyone. 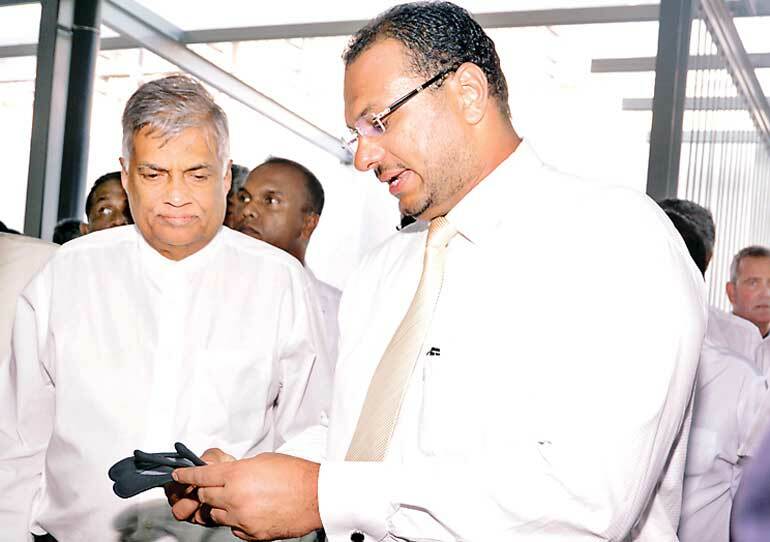 Prime Minister Ranil Wickremesinghe yesterday opened a state-of-the-art factory producing gloves for export at the Koggala Free Trade Zone. The factory, ATG Hand Care Ltd., is a $50 million investment that provides 7,000 jobs directly and 10,000 indirectly. ATG Hand Care is a joint venture of ATG Ltd and British investor John Ward Ceylon. Incidentally, Wickremesinghe opened the Koggala Free Trade Zone in June 1991 as the then Minister of Industrial Development. This factory is the last project of the Zone. For peaceful existence the only solution is to disclose the truth behind those deals without delay. This Govt let the CSE investors to bleed, in the same way now they are letting the people to bleed. This being an equity forum my comment is very relevant. Do they realize that every economy needs a vibrant capital market for growth and furthermore do they know that the stock market performance helps predict the future economy. If that is so, the performance of past two years confirms that the nation's economy is heading towards disaster under this differently able led Govt. We all share never ceasing truth & false with foiled attempt to learn its realities as some are deliberately deceptive. එදා මහා ගංගා හරහා ඉදිවූ දැවැන්ත පාලම් රාශියකින් හා හරස් පාර සමූහයකින් යුතු මීටර් 130,000 දිග හයිවේ විවෘත කරන්න රටේ ජනාධිපති එනව​. මෙදා යන්තම් මීටර් 105 ක් දිග යකඩ පූට්ටු පාලමක් හදල ඒක විවෘත කරන්න රටේ ජනධිපති එනව​. මහ උත්සවයකුත් තියනව​. කමක් නෑ . නිකං ඉන්න මට අහල ගියත් සනීපයි කියනව නෙ. They should give finance ministry to Harsha De Silva .He maybe not the best, but seems much better than others around. That will give lots of confidence to economy and will inject professionalism to ministry. HDeS kiyanne yamak katha karala bera ganna puluvan manussayek withrak nevi hora hithak thiyena kenek nove. ...hail from much better background. But this has very rare possibility . Those who at control know possible threats to them. They will take all action to block threats growing. Unfortunately, fat R is at control. He is mightier and ruthless than we think. Balagena innava hærenna karanna deyak næ. Not only us, jolly R and standing S are in same boattu. Helpless in this regard. Propagation has been successful in dividing & misleading the community that drag more harmful to the society. Rulers use such tactics for tarnishing common man problems while opposition attempting to grab the power. This results further down trend of ordinary people. Most of regional countries face internal problems that threaten to holding the power. They are vehemently fueled by both domestic & external groups. Under such circumstances the stability/growth in capital market becomes more vulnerable. We are currently facing a similar experience where investors stay at arms length. So time will decide where the country is heading & the future of capital market as well.